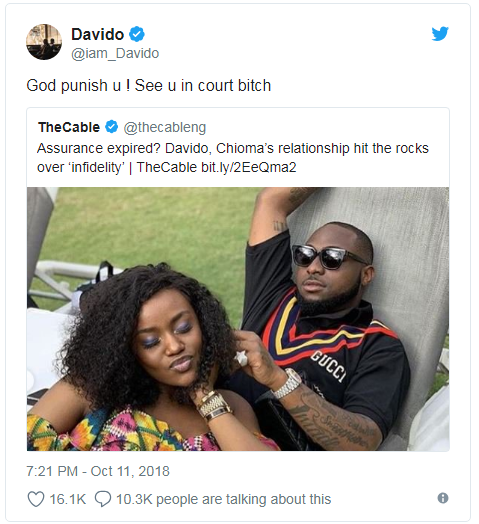 It was earlier reported today on most news platforms on pop star Davido breakup with Chioma, after the news broke on popular News Media: Cable NG. The singer has however threatened to sue them. TheCable Lifestyle understands that their disagreement recently reached a head when Chioma confronted the singer over allegations of impregnating yet another woman.